Kuala Lumpur (8 September 8 2017) — InfoWatch Group, the cybersecurity and data leak prevention (DLP) expert, announced the opening of InfoWatch Sdn Bhd, its full-service office in Kuala Malaysia, to focus on the markets of Malaysia, Indonesia and Vietnam, to ensure an overarching presence in Southeast Asia. InfoWatch Sdn Bhd is the company’s second foreign business, with the first being opened in Dubai, UAE on August 15, 2017. The new entity will drive direct sales, expand the partner and customer ecosystem, provide technical support for the parent company’s customer base, and conduct InfoWatch product training for customers and partners in Southeast Asia. The Malaysian team will be joined by both Russian sales managers and engineers, and local specialists, and will focus on government agencies and large businesses in finance, insurance, and healthcare industries. InfoWatch currently serves more than 1,500 large customers worldwide with proprietary and patented cutting-edge cybersecurity technologies. InfoWatch’s full suite of data leak prevention and cybersecurity solutions and can ‘understand’ and analyse content in Asian languages for the prevention of data leakages, including in Malay, Indonesian and Vietnamese. 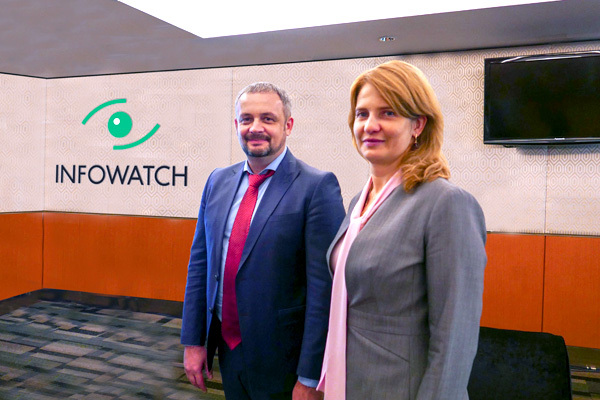 Vladimir Shutemov, Chief International Business Development Officer of InfoWatch Group, noted that the company has already landed a number of key customers in Malaysia, including Koperasi Bank Persatuan Malaysia Berhad. “We settled on Kuala Lumpur as the headquarters for the new company because InfoWatch has already built a local customer base and partner relations since 2013 when we entered the Malaysian market. We believe Malaysia will be a starting point for our company to grow its presence in other countries within the Southeast Asian region,” said Mr. Shutemov. “Southeast Asia, and particularly Malaysia, is in need of localized data leak prevention solutions that can analyse content by understanding the linguistic content of local language. InfoWatch is ready with solutions that can detect, analyse and capture data in local languages such as Malay and Indonesian. This is one of our differentiators, because data loss and leakage can happen in any language, but it is more often leaked in the local language,”he said. Natalya Kaspersky, President of InfoWatch Group, announced the opening of a the company’s new office at IFSEC Southeast Asia 2017,that was held in Kuala Lumpur from September 6 to 8, bringing together 350 cybersecurity companies from Southeast Asia, India, China, and Europe. As part of the conference’s business agenda, Natalya Kaspersky gave a master class for local business community and public officials, sharing DLP best practices and InfoWatch Analytical Center’s report on confidential data leaks in the Southeast Asian enterprises as compared to the global threatscape. The report showed that even though statistically the leaks in Southeast Asia follow the global trends, there are some significant differences. For example, Southeast Asia sees more data leaked via browsers and clouds (74% vs. 61% worldwide). At the same time, the region completely misses leaks through removable media, which could be due to rapid development of local IT systems and the fact that mobile devices are the most popular way to communicate in Malaysian companies. InfoWatch provides a comprehensive approach to the problem of maintaining the confidentiality and integrity of corporate data. The company’s solutions ensure control and audit capabilities over all internal and external communications, including e-mail, Internet services, document-related operations on workstations, printers and removable devices. Among its solutions are the flagship InfoWatch Traffic Monitor solution for data leak prevention and enterprise protection against internal cyber threats; the investigation enabler, InfoWatch Vision; InfoWatch Person Monitor, a system allowing small and medium-sized businesses to continuously monitor personnel’s working activity and use of corporate resources, as well as InfoWatch Attack Killer, a solution to protect online banking, e-commerce, e-government, collaboration systems, online stores and other web resources. InfoWatch EndPoint Security, a system for continuous business monitoring, diagnostics and protection, and InfoWatch Appercut, a system which automatically controls business app source code for custom development compliance, were also introduced.